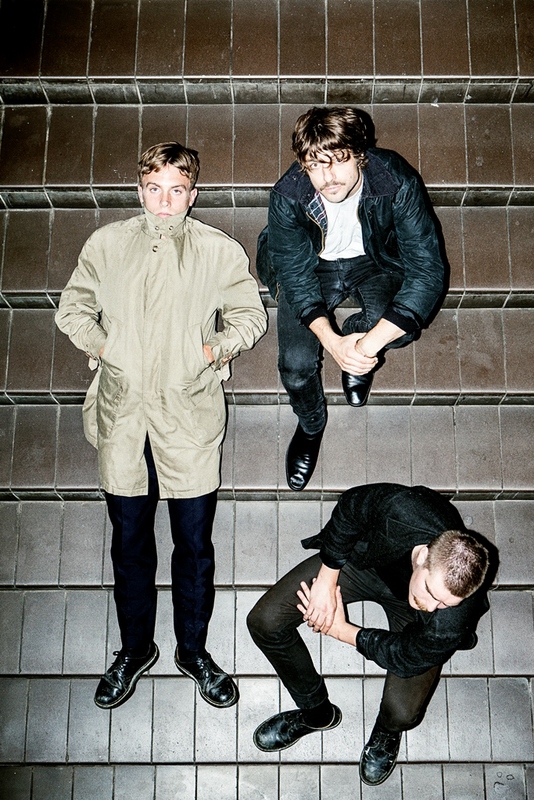 Danish trio Less Win, whose noisy slab of post-punk is a melting pot of angular guitars, distorted bass-lines and hard-hitting, precise, organic drumming, have released with debut EP via The Big Oil Recording Co.
Powered by four explosive tracks that pack more than a punch. The sonic assault that guitarist Casper Morilla, bassist Patrick Kociszewski and drummer Matthew Moller concoct is held together by a short fuse. Everything is played at bursting point, it’s music performed at the edge of things, and the feeling that everything might go wrong at any time makes for a beautiful balance throughout. Paying homage to everything from glam to post-punk, Less Win’s music has a will behind it – a hunger for meaning. As implied by the EP title, the band ventures further into their sonic universe and explore the nooks and crannies of their musical interior. Here the melodic surrounds everything, even when the rest of the music is at its most sinister. Their frenetic live show has built them a strong reputation in the Danish underground, and throughout the scenes of Germany, France and Benelux. See Less Win play their first UK shows at the dates below.